Over the past few years, there are a number of players who have been consistently producing good results on the Asian tournament circuit. We all know that multi table tournaments can generate swingy results, and that’s part of the attraction for amateur players who enjoy this format, but for the best players out there, patterns of success usually appear as they play many events on the circuit each year. Ranking them is nothing new. 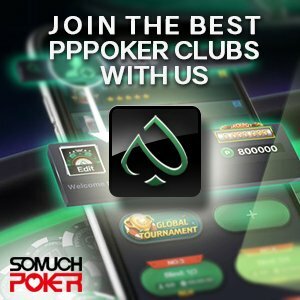 In Asia, the Asian Poker Tour has is own Asian Poker Tour Player of the Year trophy and players who are playing events organized or sponsored by PokerStars can compete for the Asian Player of the Year Title. More recently, the arrival of the Global Poker Index, has offered a different answer to this eternal question: Who is the best ? When discussing this particular question, there will immediately be one name that arises first. Sam Razavi has accomplished great things on the Asian circuit over the past few years, finishing as the APT player of the year in 2012, 2013, and 2014. He has dozens of final tables to his name on the Asian circuit, with many wins in side events, and continues to rise up through the ranks to compete for player of the year titles. His consistency is remarkable, having won between 3 and 5 events each year, with many other deep runs besides them. He has serious competition for retaining the title in 2015 however. In the latest update of The APT leaderboard 2015, Sam Razavi is currently ranked 4th behind Lester Edoc and John Tech. Lester Edoc enjoyed an incredible run at Cebu, winning two events and continued his rush in Manila with a 3rd title in the Pot Limit Omaha Event Hi. “Jojo” Tech has surged into the lead after his 2nd place finish in the APT Manila Main event, coming immediately after his 1st place in the APT Cebu Main event. Jojo finished 8th place in the player of the year leader board last year, and if someone is to knock Razavi off his perch, Jojo Tech would always have been one of the prime candidates. Not to be confused with the APT leader board, this particular race also offers some good candidates for the recognition of being the best tournament player on the Asian circuit. Ka Cheong Wong has put in some very consistent results in the past 2 years and is quickly becoming a very recognisable name after finishing 2nd in the standings last year, and is currently in 5th place during the current year. Aside from Ka Cheong Wong, there are other names who have enjoyed a lot of success. Yuguang Li is having an excellent 2015 after setting the Macau Poker Cup alight, winning the Red Dragon and the High Rollers in the process. He currently leads this race for player of the year. The champion of 2014, Pete Yen Han Chan has also recently reminded us of why he is reigning player of the year, having finished 3rd in the Manila Megastack 2 in March. The GPI has been widely accepted as the best poker ranking system for a few years now, but is not popular in Asia yet. In the way it ranks players, he is similar to other sports ranking sytems, like for example the ATP classification in Tennis. Factors such as field size and placing, along with buy in, are crucial, but results only count if they are within the most recent 36 months, with those results providing less points as they age. APT and PokerStars compete to provide the best Asian tour ranking system, but can’t truly match the GPI. The GPI has no allegiance or underlying aim, it speaks honestly about player rankings for all events in Asia, but also the rest of the world combined. This makes it the best and most genuine ranking system. If we remove JJ Liu from the equation, due to her not being a regular on the Asian circuit, there are many Asian names that stand out on the GPI. 1st: Naoya Kihara (GPI Rank #173). He made history in 2012 when he became the first ever poker player from Japan to win a World Series of Poker bracelet in a $5,000 Pot Limit Omaha Six-Handed event. More recently, he has enjoyed some great results, including two final tables at APPT Seoul in the last 2 years, along with many results across the world. 3rd: Hui “Kitty” Chen-Kuo (GPI Rank #411). Born in Taiwan, she is travelling around the world to play live tournaments. She has a decent number of good scores in Asia including a Final table in the ACOP Warm Event in Macau and 3rd place in the Ladies Event during the same festival. 4th: Iori Yogo (GPI Rank #490). In 2013, Japan’s Iori Yogo took the Australian and Asia-Pacific poker calendars by storm by winning ANZ Player of the Year title. He is now a familiar face of the Asian poker scene. In 2015 , he cashed in 7 events. 5th: John Juanda (GPI Rank #525). Born in Indonesia, he is currently living in Japan. He built his success in Vegas but he he is increasingly becoming a regular on the Asian circuit. In 2013, he won the WPT South Korea High Rollers Event and finished 5th in the Macau High Stakes Challenge Super High Roller in 2012.